With Lucas Biglia and Giacomo Bonaventura ruled out with long-term injury issues, AC Milan are reportedly eyeing a move for Denis Suarez to solve their midfield troubles. The Rossoneri already lack depth in that area of their squad, given coach Gennaro Gattuso heavily relied on Bonaventura, Biglia and Franck Kessie as his preferred trio. 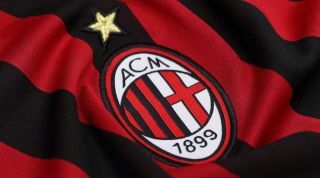 With that in mind, having now lost two of those three to injury, it has simply further exposed the issue and made their objective of securing a top-four finish in Serie A all the more difficult this season. Nevertheless, Sky Sport Italia note that Lucas Paqueta is set to arrive in January from Flamengo which could prove to be a major boost both in the short-term and long-term. Now, Calciomercato add that Suarez is on the radar of the Italian giants too. It’s suggested that Arsenal, Napoli and Roma are also interested in the 24-year-old, and so it remains to be seen who launches a bid in January and if they can successfully fend off competition for his signature. An exit from the Nou Camp would surely make sense for Suarez himself though, as he’s managed just two appearances so far this season for Ernesto Valverde, totalling 100 minutes of football. That’s clearly not enough for a player of his quality and at his age, as he’ll need to be playing regularly to continue to improve and develop his game. Milan could give him that, especially in the more immediate future given the lack of options available to Gattuso, and adding that creativity and technical quality could be exactly what the Italian tactician is looking for having previously tried to implement a more attractive, possession-based style of play. Time will tell though if Barcelona are willing to allow Suarez to leave in January, as they’ll also require quality squad depth to compete on various fronts.